So, as I am sure none of you need reminding, it’s the first day of the second Ashes Test at Lord’s. HM The Queen is not only the Patron of Marylebone Cricket Club, affectionally known as the home of cricket, but also the Head of State for both teams playing today. 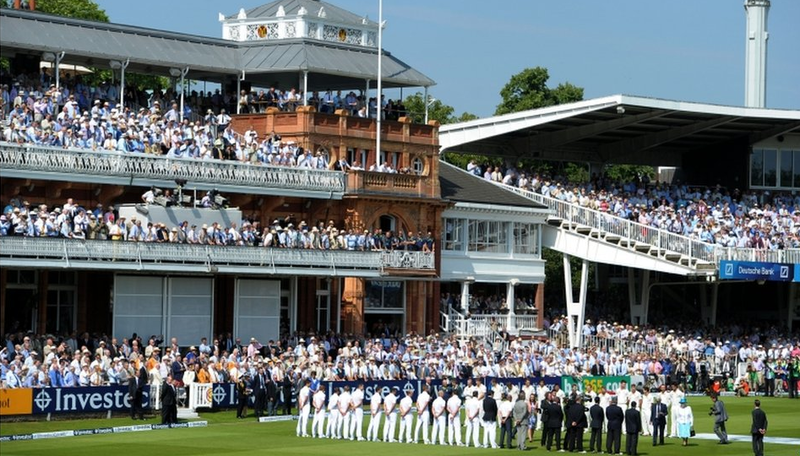 Play was delayed this morning by quarter of an hour while the sell out capacity crowd at Lord’s awaited the arrival of the redoubtable monarch. Both the teams and match officials were then presented to the Queen on the outfield, before she took her place in the Director’s box to watch the first hour of play. She shuffled off (taking her Royal Standard with her) just before lunch, with England reeling on what looks like a good batting track.